Southwest Invasion 2018 performers Lawrence have a new album, a new Pledge Music campaign and a September tour! Popdust called them a “Soul-Pop duo on the edge of a breakthrough” when their first album, BREAKFAST, came out in 2016. Led by siblings Clyde and Gracie Lawrence, the two have been writing songs and listening to countless soul records together in the living room of their family’s New York City apartment. 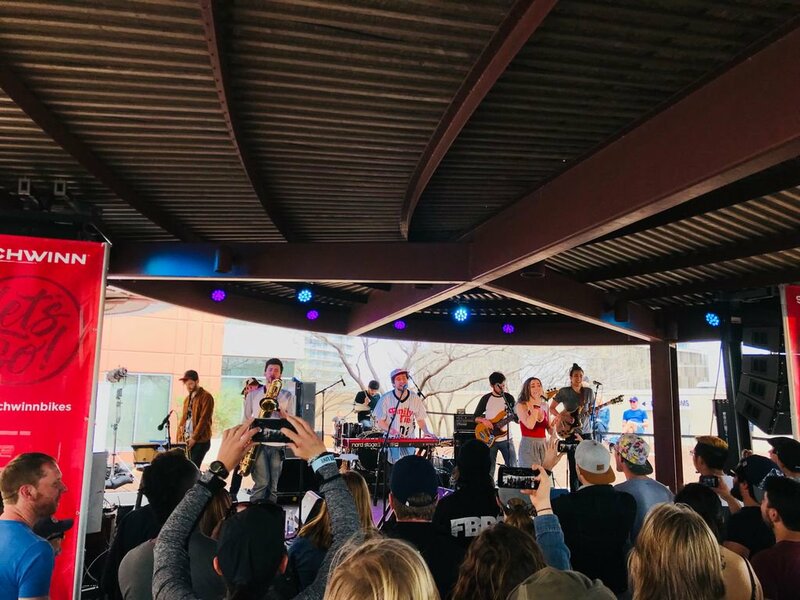 After years of playing together, they formed Lawrence, an eight-piece soul-pop band, who performed at both the 2017 and 2018 Southwest Invasions. Their new Pledge Campaign, for their second album, LIVING ROOM, has launched pre the September 14th release. If you participate, you can win a chance to be flown to New York for one of their three area shows: September 10th at Blue Note, September 12th at Mercury Lounge and September 14th at Brooklyn Bowl.